The Chicago chapter of the National Association of Asian American Professionals is a not-for-profit, 501(c)(3), Pan-Asian American organization that promotes the career advancement and leadership development of Asian American professionals in all fields through networking, respecting Asian multi-culturalism, and supporting diversity and community service. 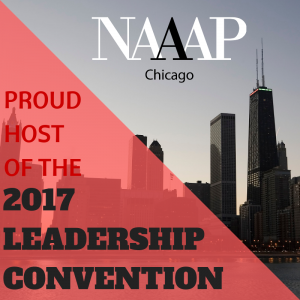 NAAAP is the largest and fastest growing Asian American professional organization in the U.S. and Canada. Through its committees, members can participate in many activities that joins other Asian American professionals in community service, cultural awareness, and professional development. To be the premier Asian American professional and leadership development organization in the community.